That L piece vanish zone ditch is the most World Rule thing ever. It almost feels like it wouldn't be right any other way! I was already feeling motivated to come back to Shirase Secret after seeing the m9, so seeing a GM just a day later is giving me even more strength. Qlex and Oshisaure like this. Thanks everyone, it means a lot considering the amount of try-hard I've put in that. I'm not sure if there has ever been a confirmed completion -- definitely worth some research on that front. Please do, I refuse to believe no one pulled that off before. There has to be someone somewhere who did it, right? ...right? That L piece vanish zone ditch is the most World Rule thing ever. I know right, isn't amazing? I like World Rule and SRS as a whole sometimes, dunno if that's related to my attraction to memes and silly stuff. Also very nice job @Sinewave and good luck for your maxout attempts if you ever go for it. I wanna see that. Raul1138, Qlex, JBroms and 4 others like this. Echo, EnchantressOfNumbers, mycophobia and 2 others like this. JBroms and FeV like this. Woah congrats for the amazing achievement!! xyrnq and FeV like this. 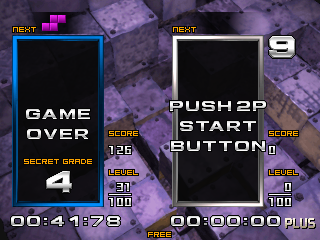 I got to the right wall in a secret grade attempt with only the one necessary line clear to get rid of that line that needs to be made with the first piece. I've got close to this before, but never quite there. I got a bronze SK in death without any singles, doubles or triples. Now just to end up on an AC when I do it I got a silver SK at 200 as well. Although I unfortunately couldn't get the gold SK this game. I tried something because I thought "no way it'll work". 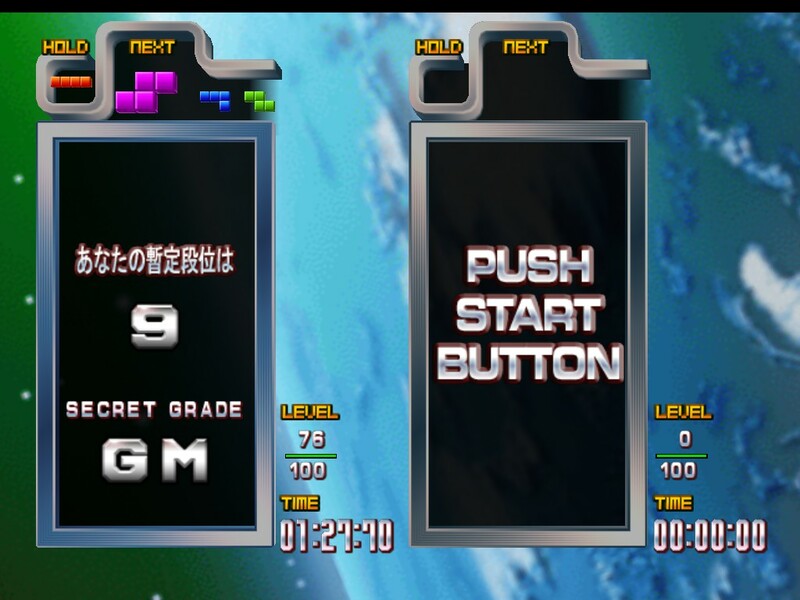 Anyway, TGM+ recognises secret grades...I'm not sure what grade is actually achievable, but I guess this is now a new secret grade challenge? 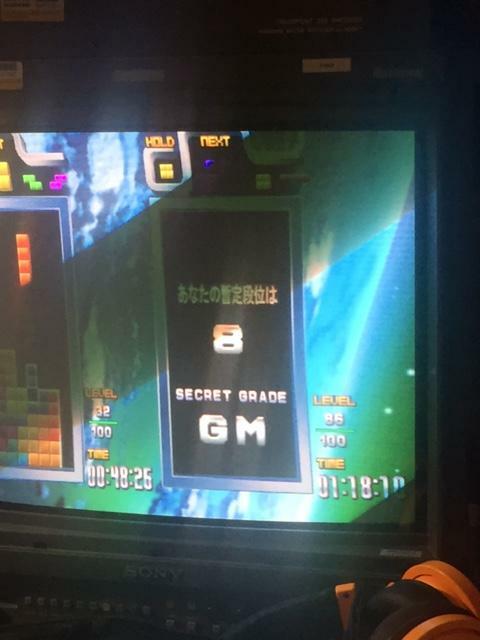 I had a quick search and couldn't find anyone else doing secret grade in this mode. A bit about how I got it. I started building one to the right of where you typically would start building, as the first bit of garbage has a hole on the very left column and that's it, so I used that for my initial hole. Then as soon as I knew it would register, I topped out so there wasn't another garbage row. I suspect a few people here could get to a grade of 1, maybe s1 without too much difficulty though, anything higher is going to take some planning, at least that's my gut feeling. Qlex, JBroms and Kitaru like this. Lot of secret grade achievements, let's mix it up. 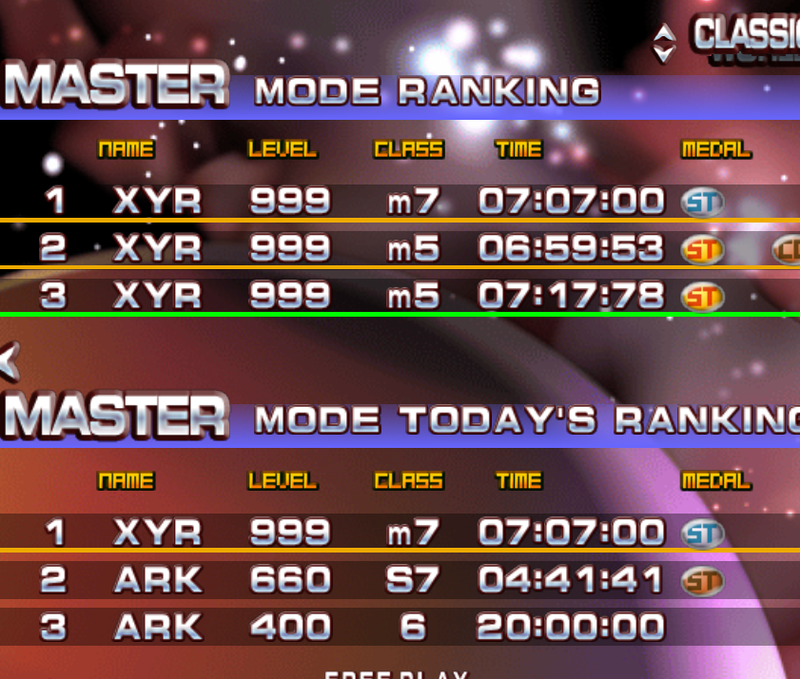 I wouldn't call this an achievement, I just "misdropped" the first ten pieces and got an M in master mode. In death mode it's a lot easier, because there's no time requirement for the first section. Maybe the lesson here is that every game is salvageable. Or something, idk. Qlex, EnchantressOfNumbers, d4nin3u and 2 others like this. Don't know wether I should call it an achievment or a blessing by RNGesus, but I got Gold SK in TAP Master Big Item. d4nin3u, steadshot, Qlex and 2 others like this. Oshisaure, FreakyByte, d4nin3u and 5 others like this. Nice Oliver! And a level 86 finish - congrats! Qlex and Oliver like this.